I've always enjoyed listening to music. Some of my earliest memories are linked to music - skipping round the Infants' playground with some friends, singing Beatles' songs (and being told off by the dinner-lady). Or hearing Please Please Me by The Beatles whilst sitting on the stairs outside the bathroom at Hemmen Lane, while someone (my sister Mag I think) was in there with the radio on. Or being told off by my older sister Janet, for singing the words 'do your bloody best' erroneously to Hippy Hippy Shake by The Swinging Blue Jeans. I think she smacked me and sent me to bed - so I always try to get the lyrics right now. At senior school my 3 friends and I would listen to the Top 40 charts on a Tuesday lunchtime, on a radio which I brought in from home. I was once sent to the headmistress for this transgression of a school rule I'm not even sure I knew about. But it was worth it as we could pore over the 'Chart Book' where we had written down the chart positions for that week. 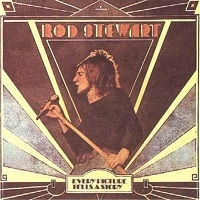 The first LP I bought was Every Picture Tells a Story by Rod Stewart. Despite his nasally-challenged face I had quite a crush on Rod for a while, going so far as to spell his name out on a scrapbook cover, using letters cut from newspaper headlines, along with his picture cut from Melody Maker. It looked rather disturbingly like a ransom demand. After Rod I moved on to Genesis. Some might think this was in fact a retrograde step, but they were pretty good back then, in an over-the-top prog-rock kind of way. I bought each album assiduously, and saw them perform several times, including at the Empire Pool in Wembley for The Lamb Lies Down on Broadway tour. A great event even though we had to contend with Peter Gabriel as The Slipperman. An image which could have blighted me for life. But fortunately, didn't. 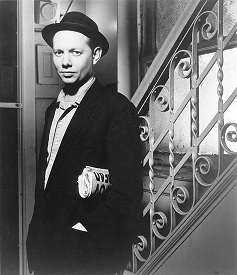 I enjoyed Joe Jackson's stuff, especially the earlier albums he released. I'm not sure if it ever happens that you like everything an artist releases, from the start through to the end of their career. What happened with JJ was a gradual reduction of tracks per CD which I really liked, so I just stopped listening eventually. I did see him live several times though - good entertainment but I think we stayed seated throughout. He always bantered with the audience so it was good fun but not rip-roaringly exciting. For all I know his later work may be astonishingly good, but there's only so much time to listen to music. Sorry Joe.